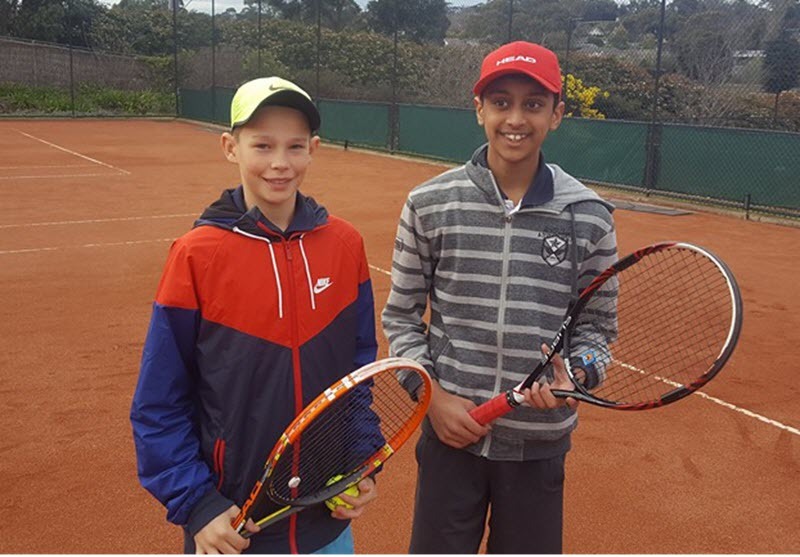 The MCC Glen Iris Valley junior competition teams has a weekend to remember in the semi-finals of the WDTA Winter Season with 9 teams progressing to this weekend’s Grand Finals. All teams will be emailed their Grand Final opponent and match location in the coming days but below is a summary from the weekend. D Grade 2 Triples: MCC Glen Iris Valley Def Springvale Sth. The boys are going to have a chance at 3peat as they comfortably moved into the Grand Final with a 5 sets to 1 victory. This team has certainly performed when it matters over the past few seasons so there is no reason why they won’t do it again and become the first MCC Glen Iris Valley junior comp team to go Back to Back to Back. Lets go Boys!!! B Special 1 Rubbers: MCC Glen Iris Valley Def Nottinghill Pinewood. 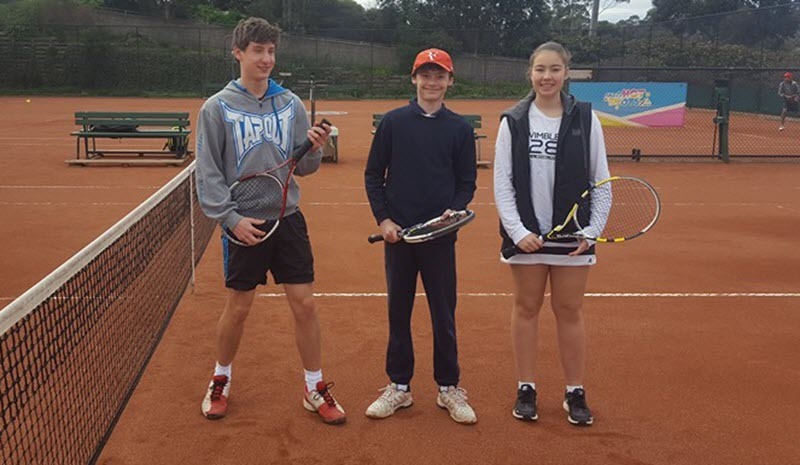 Daisy, Michael and William had a great win on the weekend to book a spot in this weekend’s Grand Final. After a tough doubles match which the boys took out 7/5 6/2, the team never looked back and claimed one of the singles matches to take the match 2 rubbers to 1. Best of luck this Sunday. Felipe Herrera, Joel Burgess Heath and Joshua Wallace. First year for the boys in the rubbers format and they have done magnificently, finishing 1st on the ladder to ensure a home Grand Final. All three boys have combined incredibly well over the last 14 weeks and are looking to go back to back after taking the C Special 1 triples premiership last season. B Grade 3 Rubbers: MCC Glen Iris Valley Def Nottinghill Pinewood. C Special 1 (Red) Triples: MCC Glen Iris Valley def Whites Lane. An extremely solid performance by the Matthew, Nik and Ryosuke only dropping one set for the day. After splitting the first 2 sets, the boys powered away winning the remaining 4 sets for the day. They will now play the other MCC Glen Iris Valley team in the grand final which promises to be an absolute classic battle. C Special 1 (White) Triples: MCC Glen Iris Valley Def Scoresby. The boys just simply found a way to get over the line. After the sets were split 2 each after 4, the boys needed something special from one of the players in the last set to catch Whites Lane on games. 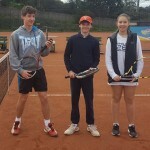 Oliver stepped up to the plate and won his singles 6-0 which meant a 1 game victory on the day. An all MCC Glen Iris Valley final awaits them this Sunday. D Grade 1 Triples: MCC Glen Iris Valley Def Templeton. The boys had not dropped a match all season and were expected to get over the line quite comfortably. It was anything but a comfortable match. The match was tied at 2 all but again the boys just found a way to get over the line. A solid 6-1 win from Andy in the last singles match ensured a 1 game win for the boys. There Grand Final will be played at home this Sunday. Tom, Sarah and Bella have made it through to the Grand Final after defeating the other club team in that section by 6 sets. Both teams competed incredibly well but the (black) team was a little bit too strong at the end. They have been the best team all season not dropping a match so they are extremely confident they can get the job done this weekend in a home Grand Final. The boys put in a masterclass performance only dropping one set for the entire day. 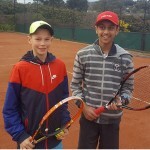 A stunning performance by Adam and Thomas in their singles helped them to claim the victory. A tough opponent awaits them. Legend Park has remained undefeated all season but the boys feel they can hand them their first defeat of the season this weekend. 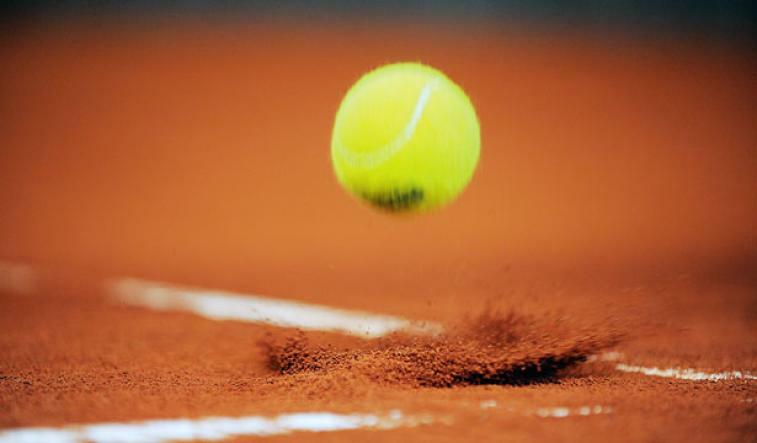 Goodluck to all players in the weekend’s matches. Many of the matches will be played at home so we look forward to a great finals atmosphere on fathers day.